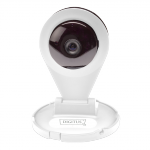 This Mini Cam is the ideal starter model for those who want more security for their own home. The Opti Vision Pro hides excellent technology in the smallest space. 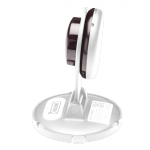 Its shape resembles a small magnifying glass. 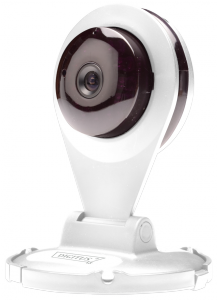 With 1 megapixel (720p) you will get very good surveillance images and have your home always in a view. 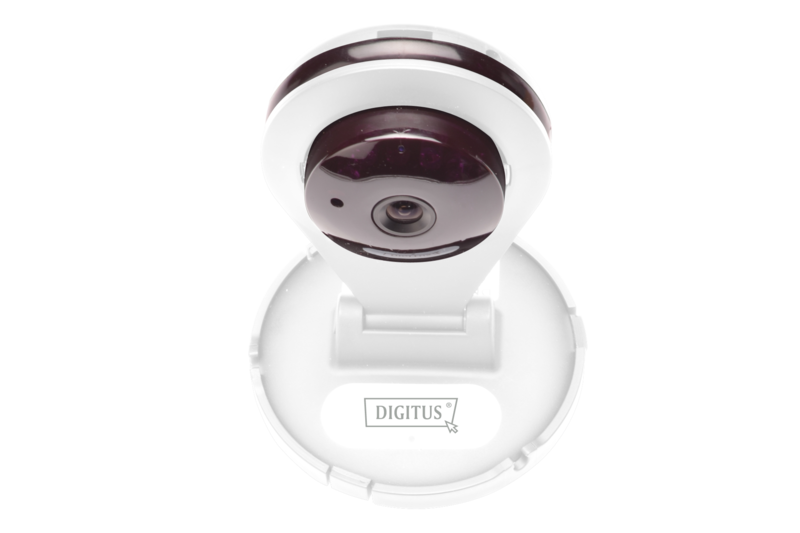 This model is very mobile and can be installed using the free DIGITUS® Plug & View app. 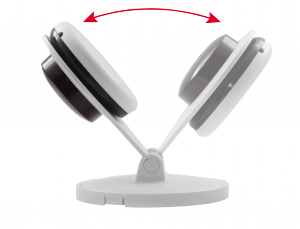 The microUSB power connector allows the camera, for example in connection with a USB replacement battery (eg. ednet Power Bank), to be used as mobile surveillance system. 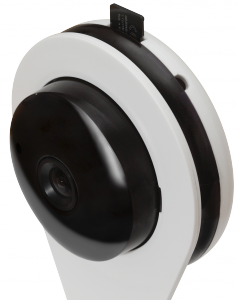 This allows you to monitor your house using a smartphone or tablet monitor, while you enjoy a party on the beach. Thanks to the 2-way audio function, you can hear with the OptiVision Pro both noise from the monitored space, and people respond in the room. 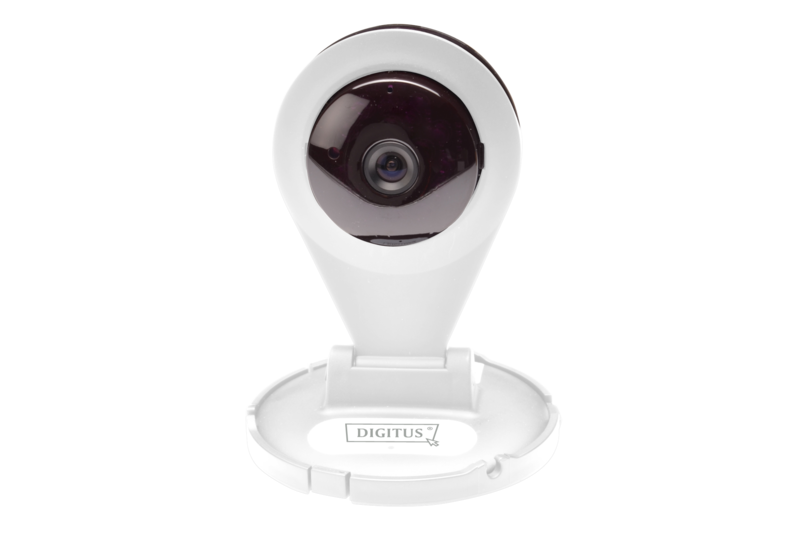 The built-in 12 IR LEDs provide good images even in the dark. The video images can be retrieved through either the browser or app on tablet or smartphone. 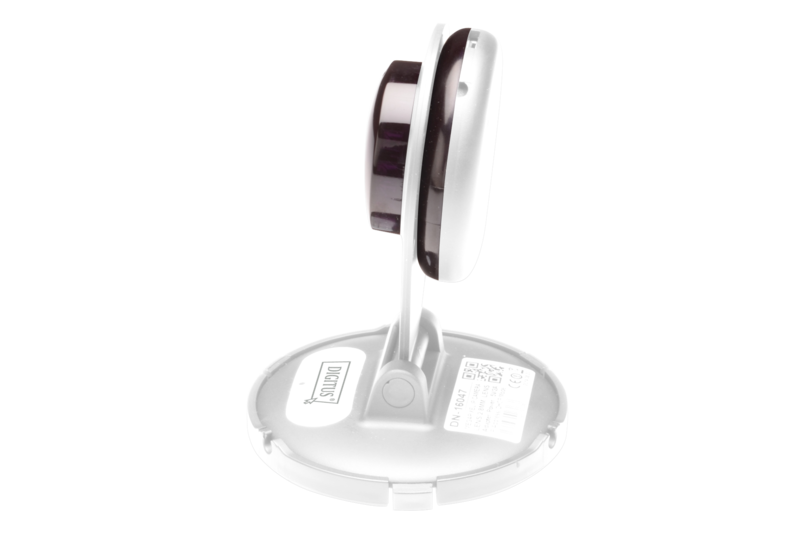 Thanks to the proven Plug & View system, the installation of the Mini Cam in only three steps can be performed. 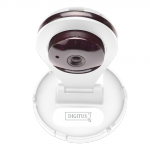 Everything works easily with Plug & View DIGITUS®. 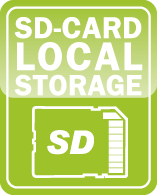 For downloading firmware, manuals and quick start guides, please click here.